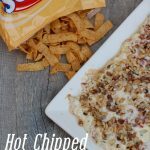 Hot Chipped Beef Dip Appetizer is an old fashioned appetizer we love. 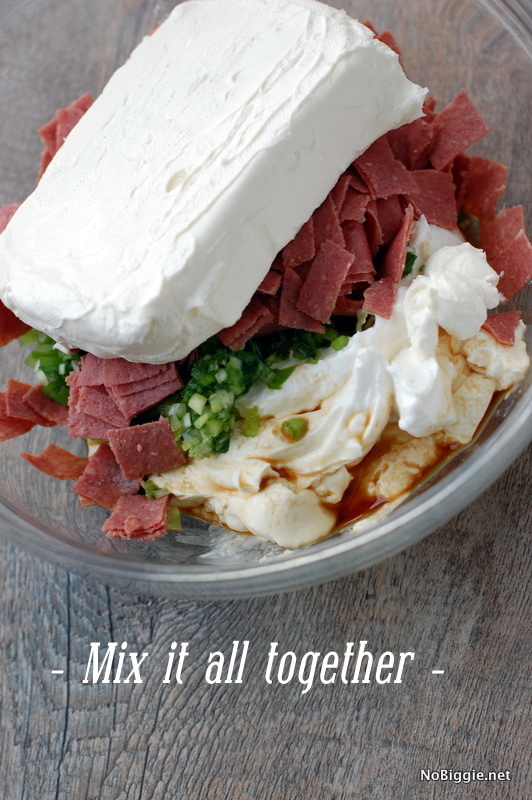 This appetizer recipe for Hot Chipped Beef dip is perfect for Holiday Entertaining. It’s warm and delicious. It’s sort of like a cheese ball, only it’s served out on a platter, warm. Here’s a quick step by step and I’ll share the recipe down below. When you are cooking, do you do this…gather all the list of ingredients together to make sure you have everything you need before you start mixing? I love doing this! Yep, that’s a block of cream cheese…the real deal. It really makes this dip. 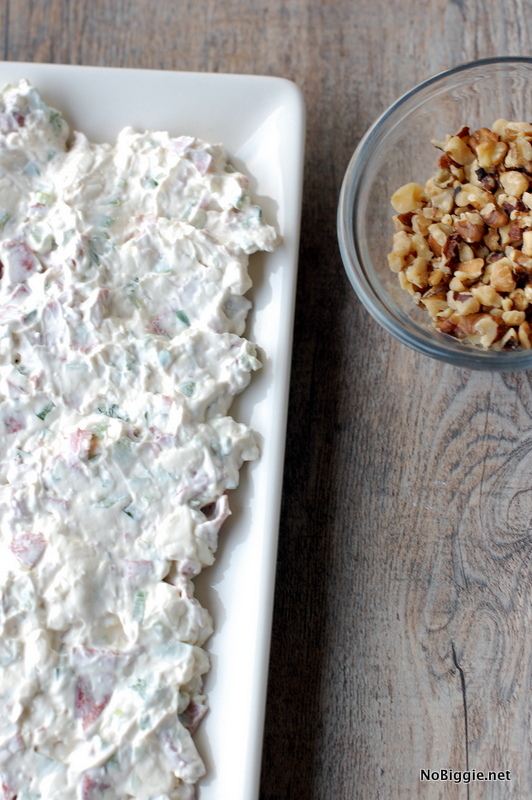 Once everything is mixed together, you will top it with chopped walnuts. 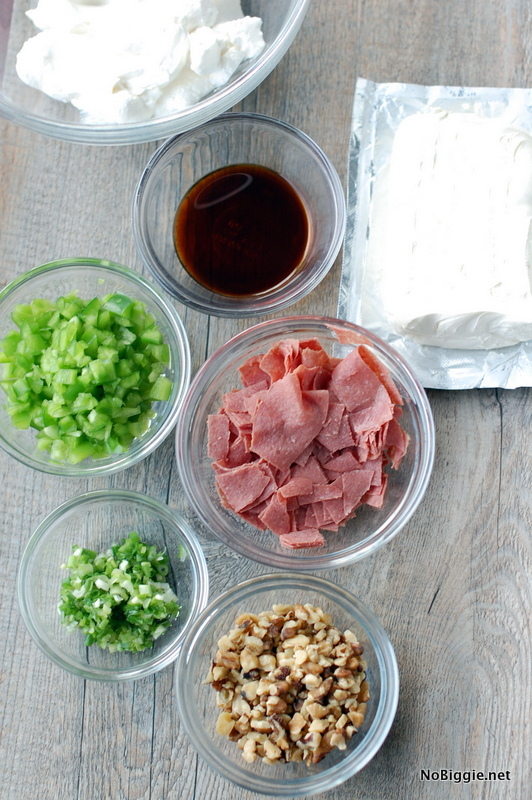 Combine all ingredients (minus the walnuts). Put in a small casserole dish. Bake at 350 for 15 minutes. 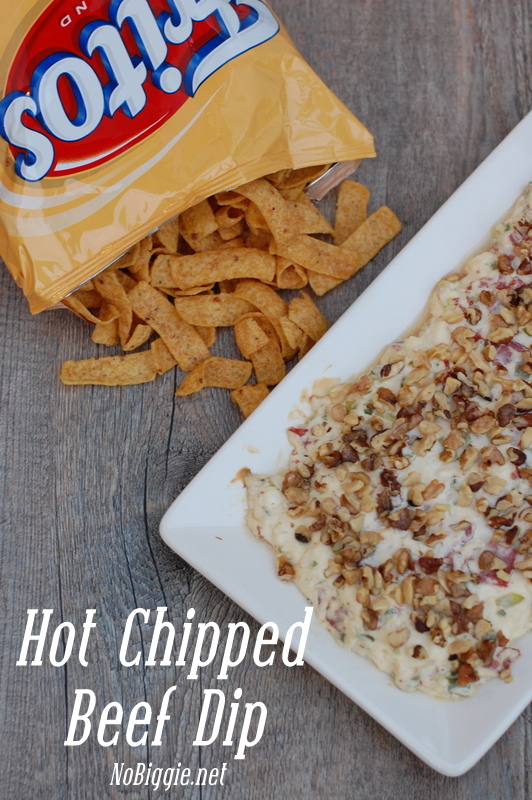 Serve with large Fritos. 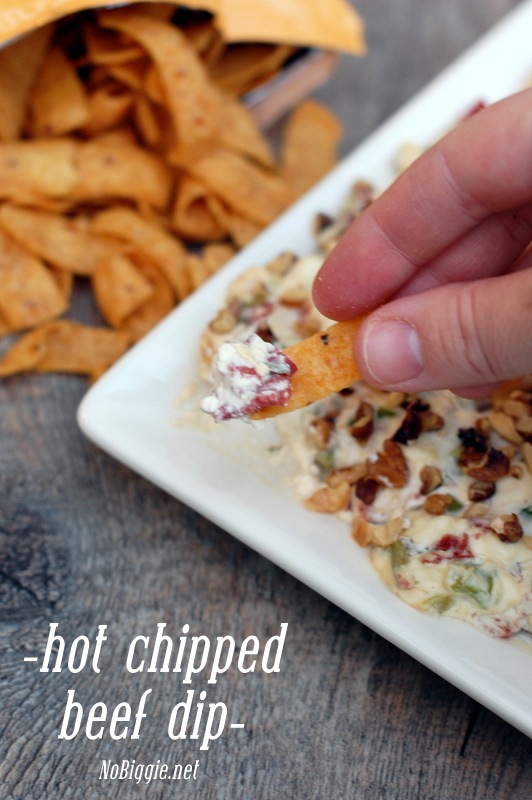 *A few notes...I made this twice over the weekend, and if you plan on bringing this appetizer with you to a party, you can forego the baking step if you are in a hurry or if the oven is occupied where you are headed. Just microwave it once you arrive to make sure it's hot and or warm when you eat it. I microwaved it for 4 minutes, and it worked great. Also, buy the Frito scoops. I bought the regular Fritos, and I thought the size was a little too small for a dipping chip...but I will say that Fritos make this dip. No other dip will do. Just curious, when I made this it was AMAZING! But the longer it sat there the saltier it got! After a couple hours it was almost inedible. Thoughts? How many servings is this recipe as is? Hi there! I’m not really sure. I guess it depends on the size of bites you take.